My little elves have been very busy baking and decorating 4th of July Kupcake for Kids. 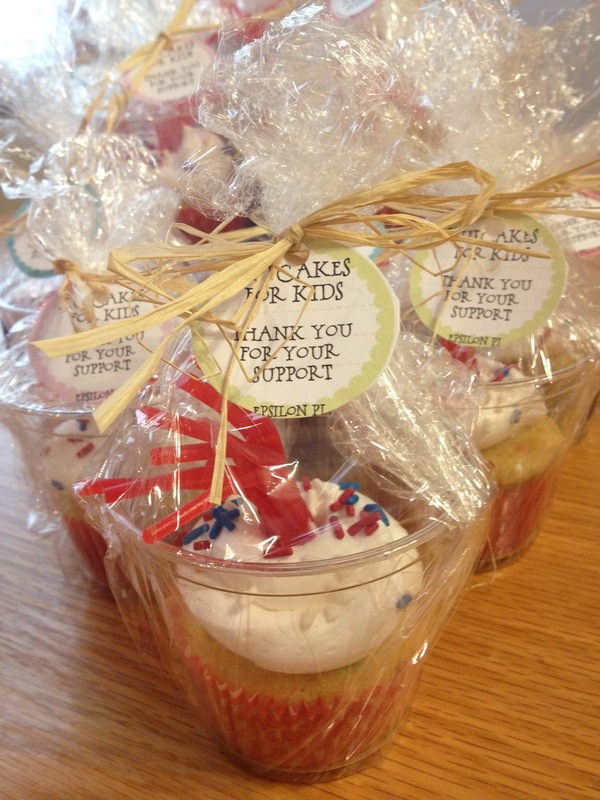 Kupcake for kids is a little fundraiser that Epsilon Pi is having to raise funds for school supplies. Since I am one of the happy bakers and I know several people that couldn't make our Vendors Market on July 14th I offered to bake some cupcakes before the actual event with all proceeds going to the Kupcakes for Kids project. Since it is almost the 4th of July I offered to make some 4th of July cupcakes. Place Fluffy White Frosting in a piping bag and swirl on some frosting on each cupcake. Take a Twizzler and pull down the sections half way. Poke Twizzler into the middle of the cupcake. 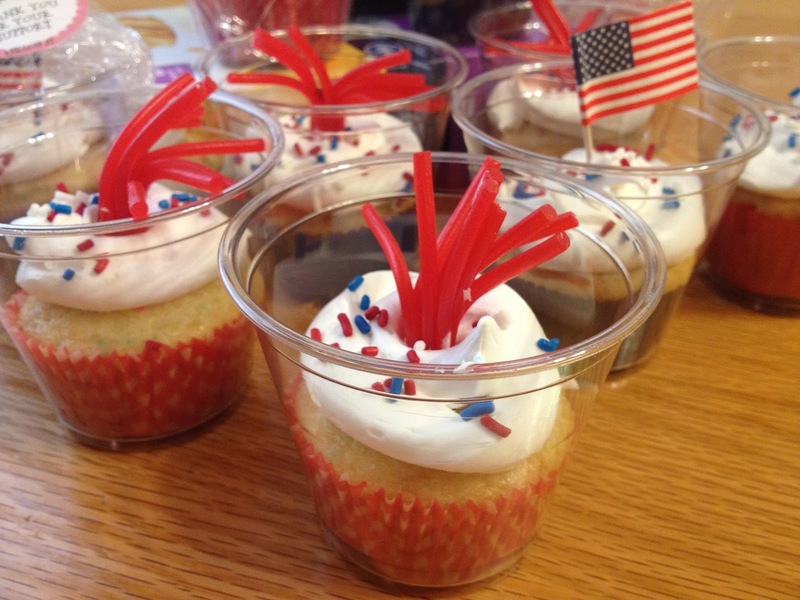 Sprinkle some red, white, and blue sprinkles around the twizzler. Before I decorated the cupcakes I placed each cupcake into a small clear pastic cup. I love these! Cool idea for the 4th of July.